Sulforaphane is a promising agent under preclinical evaluation in many models of disease prevention. This bioactive phytochemical affects many molecular targets in cellular and animal models; however, amongst the most sensitive is Keap1, a key sensor for the adaptive stress response system regulated through the transcription factor Nrf2. Keap1 is a sulfhydryl-rich protein that represses Nrf2 signaling by facilitating the polyubiquitination of Nrf2, thereby enabling its subsequent proteasomal degradation. Interaction of sulforaphane with Keap1 disrupts this function and allows for nuclear accumulation of Nrf2 and activation of its transcriptional program. Enhanced transcription of Nrf2 target genes provokes a strong cytoprotective response that enhances resistance to carcinogenesis and other diseases mediated by exposures to electrophiles and oxidants. Clinical evaluation of sulforaphane has been largely conducted by utilizing preparations of broccoli or broccoli sprouts rich in either sulforaphane or its precursor form in plants, a stable β-thioglucose conjugate termed glucoraphanin. 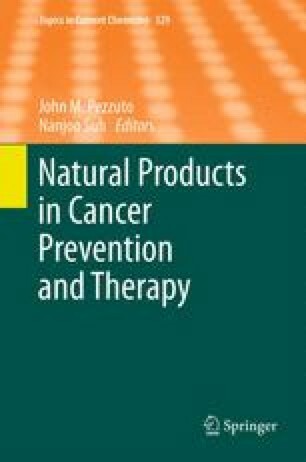 We have conducted a series of clinical trials in Qidong, China, a region where exposures to food- and air-borne carcinogens has been considerable, to evaluate the suitability of broccoli sprout beverages, rich in either glucoraphanin or sulforaphane or both, for their bioavailability, tolerability, and pharmacodynamic action in population-based interventions. Results from these clinical trials indicate that interventions with well characterized preparations of broccoli sprouts may enhance the detoxication of aflatoxins and air-borne toxins, which may in turn attenuate their associated health risks, including cancer, in exposed individuals. This work has been supported by USPHS grants P01 ES006052, R01 CA93780, R01 CA94076, Breast SPORE P50 CA088843, Center grant ES003819, Department of Defense W81XWH-08-1-0176, and the Prevent Cancer Foundation.